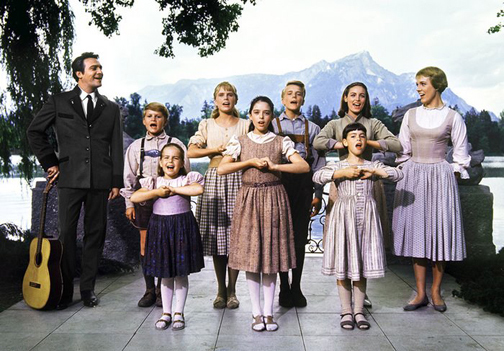 Film audiences have long been mesmerized by The Sound of Music. With nearly half a century of staying power, the actors and the messages of the iconic film still resonate with fans from every generation. I recently had the honor to interview all seven of the original “kids” for my special 13-part series for Parade Magazine and my podcast Whine At 9. The faux von Trapp siblings are not only all grown up, they’ve grown up to be fabulous adults. Charmian Carr (Liesl), Nicholas Hammond (Friedrich), Heather Menzies (Louisa), Duane Chase (Kurt), Angela Cartwright (Brigitta), Debbie Turner (Marta), and Kym Karath (Gretl) have enjoyed careers inside and outside of show business and continue to maintain an almost sibling-like relationship while helping to keep the film legacy alive. Now that I’ve gotten to know them, I’ve asked to be the 8th von Trapp if there’s ever a sequel and I’m on the lookout for a goat puppet. Once I find the puppet, I’m signing up for yodeling lessons. You can read the series here. Listen here.